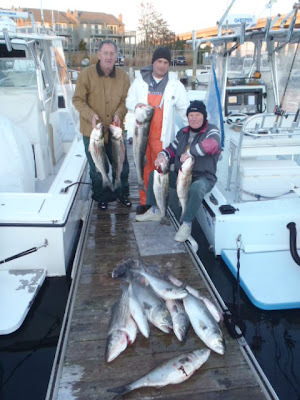 Had Rick C. and friends aboard for a jigging trip. 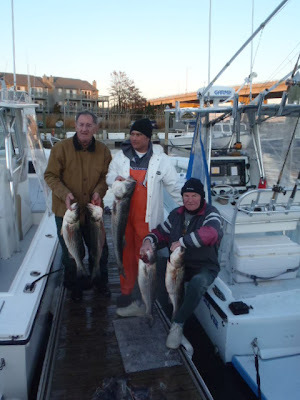 Started out off our inlet and bent rods on bluefish. Got a call from Capt. Alan (Reel Class) that the bite was on to the south. 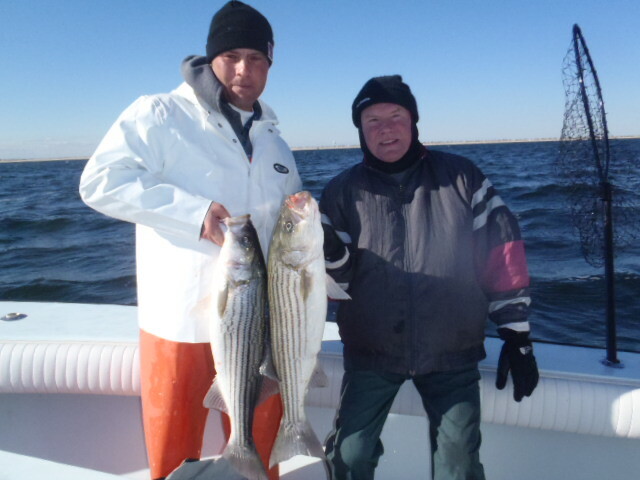 Worked hard and managed a boat limit of stripers and many bluefish!! (even some snoop doggies). Many of the bass were small and released but we caught our 4man limit and then went for some blackfish. 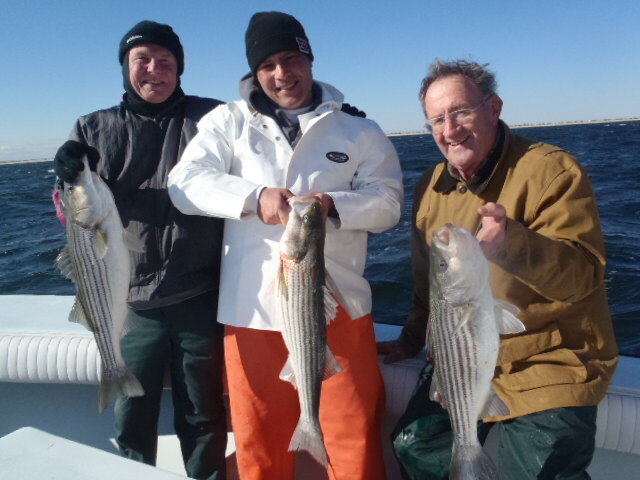 Everybody had a chance to catch a few (but short) and 3 boxers for the table. 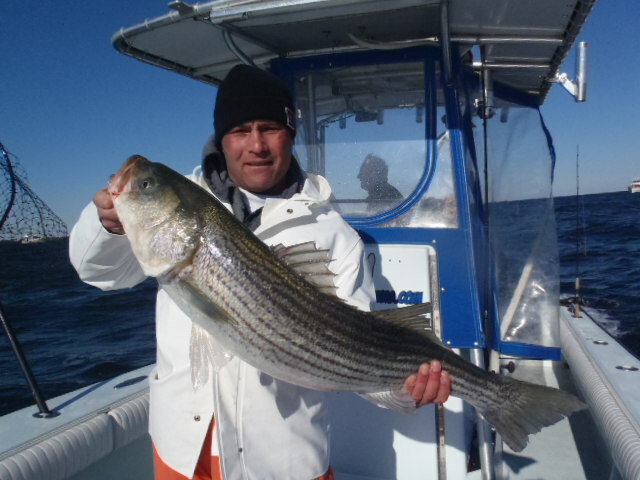 Another great day on the water!! !